Yesterday I mentioned I was notoriously difficult to buy gifts for. Today, a different category: people on your list who are in difficult circumstances. And by that I don't mean financial. I mean people for whom the holiday isn't about how many people are sitting at the holiday table, but about how many are not. If you know someone or love someone who is dealing with grief of any kind right now, I suggest Tiny Beautiful Things by Cheryl Strayed. I love this book with all my heart. I kept multiple copies in my office for a long time so I'd always have one on hand for someone who needed it. 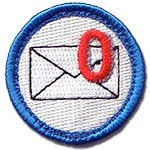 I think I sent out dozens in the last few years. And I always keep one copy for me because I think everyone in the world should own, and read, this book. I have to enthusiastically co-sign this recommendation. 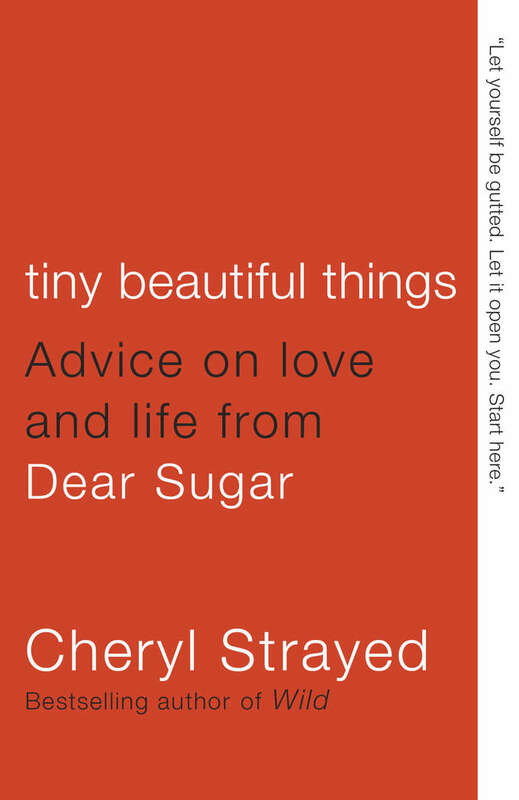 I read the Dear Sugar column for years, and once Cherly Strayed reveled herself I bought everything she's ever published. Her writing is amazing. The sheer compassion that shines through just knocks my socks off. Her piece on when you have absent parents is something I will reference over and over again for the rest of my life (the empty bow - http://therumpus.net/2010/11/dear-sugar-the-rumpus-advice-column-55-the-empty-bowl/). Wild was excellent, too, but my favorite is definitely Tiny Beautiful Things. Once she **revealed** herself. I need more coffee. JR, Very Very special indeed, I mean you. For Christians going through the grieving process, I highly recommend GRIEVING: YOUR PATH BACK TO PEACE by James R. White. I buried my mother Christmas Eve morning, many years ago now. Then I dealt with my father who completely fell apart and never really recovered in the fifteen years following, until he joined her. I had a one year old at home and another on the way and no time to grieve. I read this a couple years ago and finally was able to let it all go. I haven't read any Cheryl Strayed, so perhaps I'll try this one out. I know I've had it in my hands at the library, I just don't know if it belongs to my library. Probably not, as it would've been good to have several months ago when a patron needed my help finding the grief and grieving section, and I don't remember seeing in there. Jennifer: that's exactly what I thought, this is the perfect way to get back to reading after the weird year that was 2015. Colin, thank you for always fixing my links. Commenting from my phone is awful. Thank you. It was many years ago now and I actually love Christmas again though there are times where I still get that catch in my throat. Until she died, I always thought my parents would be immortal, you know? Thank you, Janet. This is a great recommendation. I tear up every Christmas over everything. It's nice. Today, the idea of Janet Reid fetching this book from a collection of them to quietly help someone piece their heart back together, well, it's going to be another no-mascara day for me, I see. Nightsmusic, here is a (comment-hug) from me to you. I wish you peace. nightmusic, I'm glad you've gotten past it. Once the "ow THAT day" feeling goes away, it can become all the deeper a celebration. May your days be merry and bright. Susan, no-mascara days - hee. But yes, that image of Janet is a good holiday thought. That is a wonderful recommendation for a wonderful book. I checked on Amazon. The paperback is $3 LESS than the e-book. What's up with that? And now that Colin brought it up again, yesterday I started reading Thirteen Reasons Why on my Kindle. Half the book is italics, to differentiate the tape recordings from the MC. It definitely works for this purpose. Thank you. I thought I was done with my shopping, but a friend lost her baby the first part of January. December and January are tough for her. She, like I was, is mad at God, so something religious wouldn't help. A woman who lost her baby asked me once if it ever stops hurting. I replied, "No, but it does get better. Every year on the death anniversary and birthday you're going to sink into depression, but if you recognize what it is when it starts creeping in, you can handle it." Mother still goes into a tailspin in June. My little brother passed away three weeks before he turned six, so that's been fifty-five years ago. I'm going to order a few copies of this today. Thank you, Janet. And I thought I had my shopping done. Thank you. I forget at times, we all have a journey, no one can walk it for you, they only cheer you down the path and welcome you back to life- home. No one can walk the path for you, but someone who has been in your position can help. When the pastor said at my daughter's funeral, "We can say we know how you feel to a grieving parent, but we don't. Julie, in coming years will be able to comfort those who have lost a child and truly say, 'I know how you feel.'" I've shared this before, I wanted to murder him right in front of everyone for laying that curse on me. How dare he wish for me to be around anyone hurting like I was. He was right, though. God put people in my path I could help. At Colorado Springs the Air Force has a riding stable. Part of the program is an outreach to wounded warriors and their families. The outside of a horse is good for the inside of a man, as they say. Many of these vets won't open up to doctors, but when they're around horses, taking care of them as well as riding, they open up to other vets and the healing begins. "And what does it say about me that these “holiday gift suggestions” are only serving to add length to my OWN wish list? =)"
I know. I ordered the Snoopy guide to writing for myself also and the Outlander Coloring Book. I really needed another project, but art is relaxing to me. This is timely for me, too, because I lost my beloved father last week (after a long fight with cancer, and so I struggle with the conflict between missing him terribly and being relieved that he's no longer in pain). Thanks, Janet. As usual, the written word is what will get me through tough times. My very sincere condolences. It is a two-edged sword. On the one hand you want them out of pain, but it leaves such hole in your soul when they move on. Remember the good times and the fond memories. Peggy, thank you. I need to use that with a ... gift ... that I am shopping for right now (and which won't wait till Christmas). My mom and my stepfather are having a hard Christmas season, and that is beautiful. I am so sorry to hear of your loss, and hope you will find that delight with your brother and all y'all's loved ones. Everyone here is brilliant and a delight. Be well, and if you can't be well, be here a lot and be appreciated. This really is a marvelous group of people. I marvel here a lot. I would also like to toss out a warning. Grieving is a very personal thing. There is no fix it for the roller coaster ride that must run its course. Do not attempt to force people to grieve at your pace. The best gift to give them is time and support. Offer to listen when they wish to talk. If they be Christian and wish to seek solace in Christ they will go to church. Many have issues with religion at the time of grieving. Forcing anything will only make it worse or become a cause of enmity. Please be very careful when trying to find a way to deal with the grief of others. They already are damaged. Don't damage them further. "Please be very careful when trying to find a way to deal with the grief of others. They already are damaged. Don't damage them further." Honestly, the best thing a person can say is, "I'm here for you when you need me." ah, the comments got me today. Good thing I came home for lunch. Wishing you all much love & support. This is awesome! Our town's homeless committee (as in against, not currently) has a long list of families in need that townsfolk can "adopt" for the holidays. There were over 50 families signed up, asking for clothes, warm boots, a few tools, etc. With the kids, an amazing amount of them just wanted a book or two. In most cases, the parents asked nothing for themselves. I'm not surprised, I guess. As a kid, things in my life weren't exactly ideal and I escaped into books whenever possible. I am going to go out and look for this book and see if I can't grab a couple copies to give to some of the moms. (Our two local independent bookstores have been wonderful in donating a few books and gift certificates, by the way, which just shows how bookish people are extra wonderful!). Thanks Janet! What an amazing group this is. My wife was just reading Cheryl Strayed. Wild. 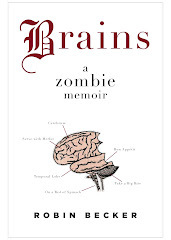 A few days ago when Janet mentioned this book in passing (WIR? ), I wrote down the title. But so much of what I write down gets forgotten. I'm just going to order it right now. Nothing else to add except to say how wonderfully inspiring and uplifting to find a community like this online. Thank you, Janet and commenters, for your sharing. Peggy, sincere condolences to you and your family. For the rest who know of someone, or who also lost a loved one, by now you know it gets better. Not the same, it will never be the same, but it becomes less sharp, less focused, a muted sort of sadness you can wear like soft gray instead of that soul sucking blackness. As many of you know out here my father passed in March, and Mom has struggled with being on her own for the very first time in her almost 80 years. She and my Dad knew each other five weeks, and married. They were married almost 60 years and did everything together. I have learned things about my Mom I never knew these past few months. But, what Craig said is absolutely true, and what I had to school myself on when it came to her grief. Even though I became frustrated with her many times, I've also become better at putting myself in her shoes. And when I do, I admire her strength. Donna, has it really been since March? It may sound odd to say, but it 'feels' closer. That is your writing, and the immediacy of how you talk about your dad. I've learned about my mom, too, and still am seeing her in new lights every year, in the almost thirteen since dad died. Watching her face a second widowhood is heart-wrenching. My stepfather has become very small and extremely dear to us, and he has shown absolute grace. I learn from him, and fear for them both. I'm jouncing around Amazon now looking for a medic alert system and things for my mom. "I Am Malala" looks to me like one she would read. Getting a lump in my throat. I blame y'all. 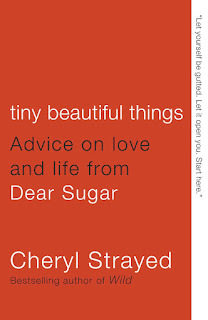 I've never read Cheryl Strayed but have added her to my TBR list. Grieving and holidays are a lonely cocktail. I'm so sorry, Peggy. (((hugs))) Virtual hugs are all I can give from this distance, but know that my thoughts are with you, too. Diane - yes March - ten months. My brother and I talked about the time frame today. We also did something good for Mom for Christmas. Blaine and I drove to Raleigh today with a new washer that we all chipped in on. Hers was almost 20 yrs old. She was like a kid when she saw it. Peggy--so sorry to hear of your loss, but glad your brother received such a beautiful note to share with you. What a lovely quote about the mourning of joy--I'll have to remember it. I am thinking of my friend who lost her battle with cancer earlier this year--and the family she's left behind. I hope they can either find this book, or something similar to warm their hearts during this first Christmas without her. This was said so well, Donna. "Even though I became frustrated with her many times, I've also become better at putting myself in her shoes. And when I do, I admire her strength." Such a lesson there for all of us, and for so many situations. There is such an immense amount of understanding that comes with putting yourself in someone else's shoes. Thanks for the reminder. Oh, Donna - that is a FUN Christmas moment. I have a new washer on my list, probably early next year. I think mine may be more like 30 years old. It still RUNS beautifully, but it does not get my clothes clean to the degree I would prefer to see. The question then becomes - do you donate the old one that still runs, or is that a bit of a backhanded gift to make? Janet and y'all have been a part of my feeling the spirit of the season rather joyously, or at least fully, this year. For all the good and the bad and the poignant, thank you.